Exiled Kingdoms -Classic RPG- now on Steam! 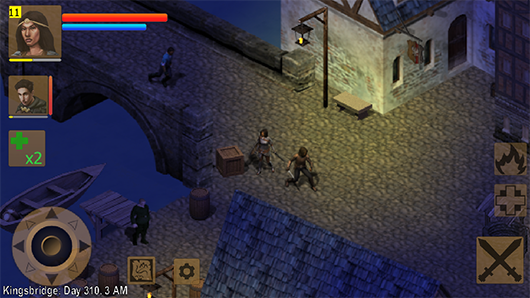 Exiled Kingdoms is an open-ended action RPG, story-driven but at the same time allowing to roam freely and explore. Now arriving to Steam! Exploration. Wandering around in an open world, uncovering ancient secrets or getting into unexpected trouble. That's what I loved from the RPGs in the 80s and 90s, and what I tried to make here. A setting and a good story is of course important, but the feeling of freedom and making choices with consequences is what actually makes it "role-playing", and I feel it is nowadays dilluted in the genre. 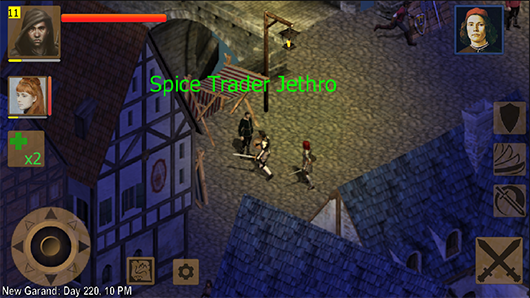 In Exiled Kingdoms, I try to bring back some of the old flavor of the classics of the genre. I hope you enjoy it! 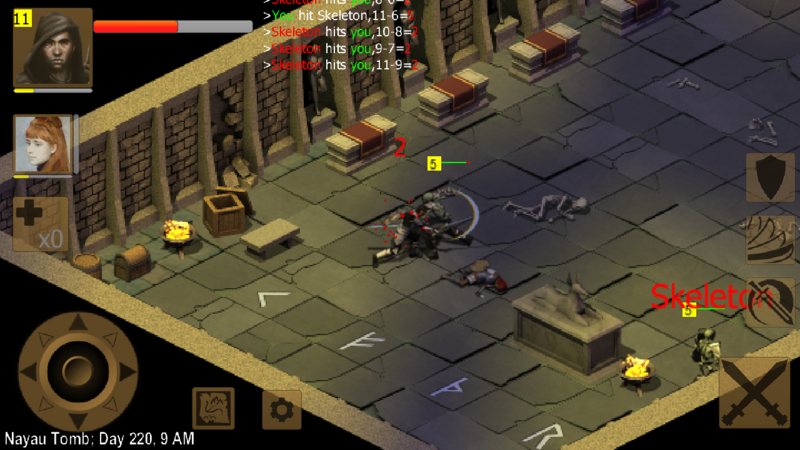 Exiled Kingdoms is a LibGDX isometric 2D game. It has been very fun to work with isometric perspective, although the assets work pipeline is a bit time-consuming. I know nowadays most people go 3D, but I really wanted to make a game that followed the steps of my favorite 2D isometric gasmes from the 90s, at least once. I started development in Spring 2014, so in the end it has taken me 39 months. However work will continue, as I'll keep expanding content and features. There's a lot of content in this game, including 118 areas in total, 85 quests (plus procedural quests), and a bestiary of 120+ different enemies. There's hundreds of different items, and over 440 dialogues and 300 characters you can interact with. A century ago, the Andorian Empire was destroyed by a magical cataclysm that brought The Horrors into our world; humanity was nearly annihilated. Many thousands managed to escape, however, sailing away to the Imperial Colony of Varannar: a savage island, dangerous and unexplored. But mistrust and blame made impossible to elect a new Emperor, and the four Exiled Kingdoms were proclaimed. Nowadays, the ragtag kingdoms still struggle to survive in a harsh land, often waging war on each other. Empire and the Horrors are, for many, just old legends and fairytales. You are a novice adventurer, rarely paying attention to such old stories; you're more concerned with your latest misadventures. 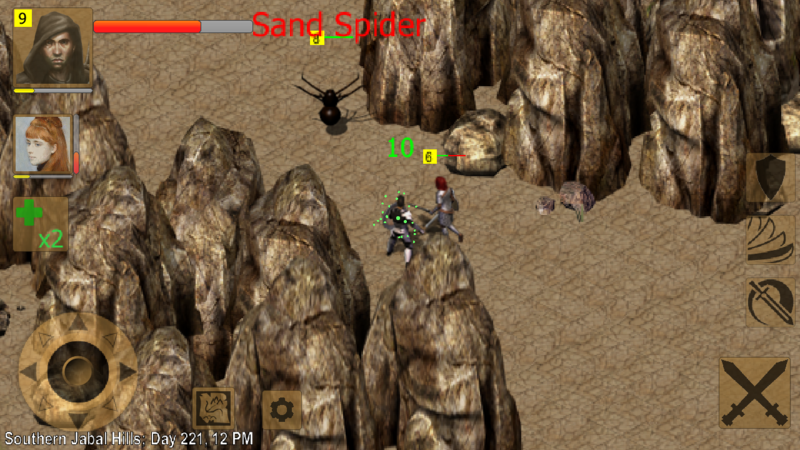 Re: Exiled Kingdoms - RPG for Android mobiles. The links in your post don't work (although is easy to google it). Thanks for telling, hehe. Fixed. Not sure why those extra quotes and "http://" appeared. I liked it and i had fun playing it, albeit some things annoyed me (more on that later). Performance was fine. I had the feeling that the game speed varies slightly, but that might have been a delusion on my side. I've no real clue about writing, but I think that the writing in this game is ok. I've seen worse in AAA games. I like the ironic touch of some dialog options. I got two crashes. You should have got the bug reports already via Android's default means. One was a null pointer when I tried to speak to some guy in Kings...(?) and one happened in the prison when I entered the room with the cultist leader. I could restart the app and continue from there though. At one time, the music stopped playing and never came back until i restarted the app. Once, after dying and reloading, suddenly all enemies remained inactive or even tried to escape me. I could slaughter them without any resistence. That was fun...but it was over after I entered another section of the map. At least on my Nexus 4, the quest log is larger than the window that displays it. So I have to scroll from left to right to read the text, which seems a little strange. The animation speed doesn't match the speed of the movement. The movement speed is actually fine, but the animation is too slow. It looks like as if the chars are ice skating or something. The size of the UI elements like buttons are just a little too small on the Nexus 4's display for my taste. They are still usable, but i would like to have them a little bit larger. I like that the game doesn't hold your hand (i.e. no quest markers on the map, no exclamation marks on top of NPCs etc). ...however, you can't escape the enemies. At least I couldn't. Once you ran into a pack of enemies or a white wolf or similar, you are basically screwed. It should be possible to run away IMHO. The only option seems to be to try to leave the sector, which is basically abusing a technical limitation as an element of the game play...which I actually don't like. I really really really want to be able to save the game without walking back to a town/inn. The way it is now, gameplay involves a lot of back tracking and the fact that enemies respawn after some time, makes it almost impossible to clear a dungeon from all enemies. Yes, you can buy potions but they are pretty expensive and not very powerful. As mentioned, there's a lot of back tracking. Not enough to make me dislike the game but enough to enter "ahh, not again..."-mode. The flow isn't quite right yet. The generic quests are a little too vague for me to be able to complete them except by accident, so I ended up grinding more than I would like to to level up. 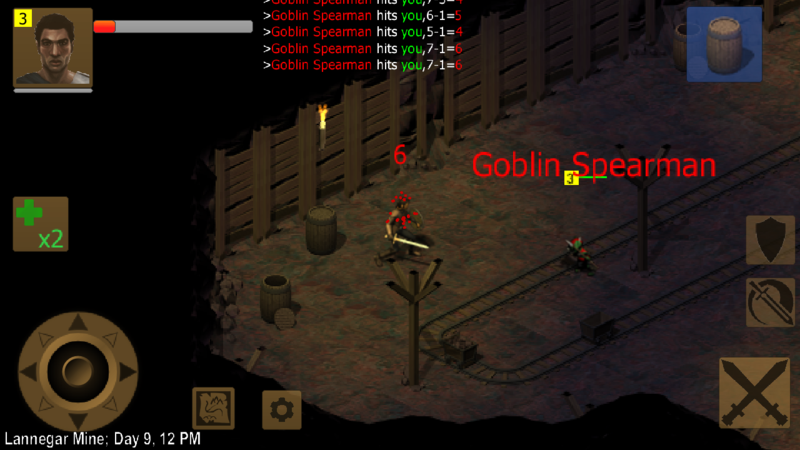 Enemies and items completely respawn after some time. I actually don't like that, because it makes killing enemies pointless except for the player's benefit. I think it would be ok if some of the enemies would respawn, but not all of them. I don't like the day-night cycle. I know that every RPG is supposed to have one, but it just annoys me. Nothing is different at night time. All the NPCs and enemies are still there, it's just darker. I want to walk around in full sunlight! Just ask yourself: Have you ever played and RPG with a day-night cycle where you actually liked night time? I didn't and I've never met anybody who did! Overall, it's a good game and has lots of potential! For an early alpha, it's pretty stable and fun! What a helpful and detailed playtesting! I can't thank you enough. I hope it indeed was somewhat fun, to make up for all the work. EDIT: already found why the second crash happened, thanks. The hard choice here is, larger UI elements leave less screen. But things such as that will certainly be adjusted before release. okay, you caught me red handed. It is a compromise... by doing that, I save a LOT of memory from sprites. The fun thing here is, evident as it is, out of 15+ testers, you're the first person to notice. Good eye. Now don't tell anyone! Looking into the logs, I see you didn't take the Kick skill. It slows down enemies. Still, you're probably right, monsters should at some point give up the chase. Death penalty and recovery... this is an almost philosophical debate. Definitely, before release, I'll make things somewhat easier. There will be options to (at a cost) save the game at small shrines closer to dungeons or something like that. But I believe, the fact of not being able to have many different saves, and try out different conversation options, adds to the immersion. And yes, I intentionally made it a game of resource management... HPs are limited, there is no regeneration nor will be, so the better you manage them, the deeper you'll get into a dungeon and better rewards you'll find. But of course, it is very hard for me the developer to gauge if I'm being too harsh and ruining player's fun, I'll take into account your experience and come up with something that works. Incidentally, I think you didn't take almost any points in Class skills, just in the General skills. Whirlwind and Resilience make the game easier, I think. Kick helps with the "not dying" part. All of it is too true, and here is where the fact the game is incomplete shows the most. Generated quests and encounters are sketchy, and dungeons are very static yet, but you'll be able to change them into different "stages". You'll be able to ultimately "defeat" the goblins and reopen the mines, for instance. And sometimes you'll find a town besieged, and things like that. But that's still... months away. Regarding day-night cycles, my idea is that night will be different, the undead will be stronger, and some NPCs and encounters will only happen at day or at night. But I am considering scrapping the whole day-night thing for some time already, so we'll see. No, i didn't. 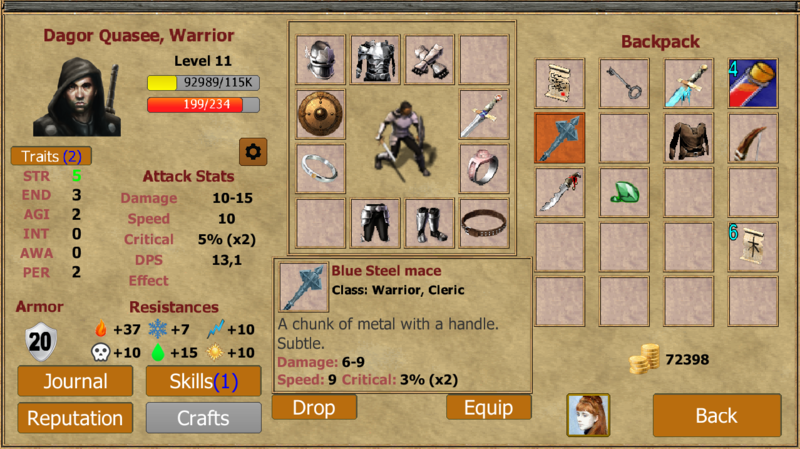 Part of this is my general play style and part is, that I didn't notice any effect of the only class skill that I took. I wasn't sure if I had to trigger in manually (but if so, i don't know how...) or if it's automatic...or doesn't do anything at all. So I reverted to general skills. I fiddled a bit with the Journal screen layout, hopefully it should never scroll from left to right again. If you could maybe check if it displays correctly now, you'd be doing me a great favour. That's great, thanks. There's nothing more annoying that a bug you can't reproduce! Got a null pointer when trying to talk to Adaon (4712). Yikes. Definitely 99% of the bugs I'm getting come from my own "script language" that I use in triggers, conversations, quests, etc. Anyway, I think that i forgot to mention one thing that bothers me and that is focus in combat. For example: If I attack a zombie and it's almost dead and another zombie joins the party, the focus switches to the new and healthy one. In 99% of all cases, this isn't what I want. In most cases, I prefer to kill the weakest (or most wounded) enemy first. Maybe you could add an option to choose the focus strategy or something like that. Okay, I see your point and feel your pain, and after all, this is a mobile game, so it's very reasonable to expect playing under such conditions. I'll not entirely remove it, because I plan to make different stuff happen at night. Like... vampires. But I'll make night drastically less dark. It'll be much more visible than it is now. And in the long run, I may even add some setting options to adjust it even further. And an option to "wait until dawn" at inns. In theory... you always attack the enemy that is physically closest to you. But I'll check the code, to make sure if you're already facing an enemy, you don't turn to attack another. I can talk to Adaon now and add him to the party, but once I enter another section of the map, he's just standing idle at his spawn point and does nothing except when enemies come close to him. I really like the game. It's fun to play even in alpha stage...but I still find it too hard. Or maybe not too hard but not rewarding enough. I've just played for 1.5h and I only managed to get half the way from level 5 to level 6. The usual pace in most of the desktop rpgs that I play is one level per hour...one level in 3 hours isn't very satisfying IMHO. Part of the problem is that I'm dying a lot, so that I have to walk the same ways and fight the same enemies over and over again. I'm really missing a way to save the game without spending quite a lot of money at the inns or at least a way to heal myself anywhere other than by using these 2 heals that i get for each full rest. Potions are too expensive and too weak for their price (btw: a 30hp potion costs 100, a 60 HP potion 300...so why should I pick the 60 HP one instead of two of the others?). It might even help if one would get 3 free heals instead of 2 after a certain level. That would also justify why resting gets more expensive with each level. Okay, regarding Adaon, I think it's a "area cache" problem, just needing to respawn the New Garand area after upgrading to build 715. Once you see that version in your main menu screen, please try to sleep at an inn (that will respawn all areas), then check if you can have him join and the bug *should* go away... I hope. Regarding rewards and leveling... noted. 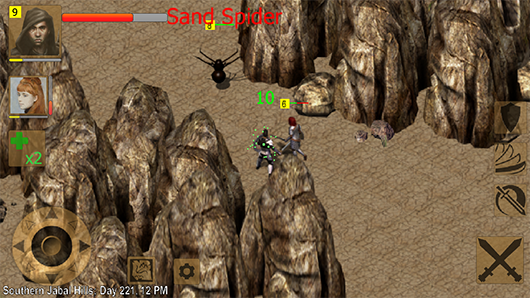 The game progression is currently balanced only through the first levels. There's not many quests past level 5, and quests give a lot of XP (the equivalent to 20-30 monster kills). I hope things will balance out better when I add more content. 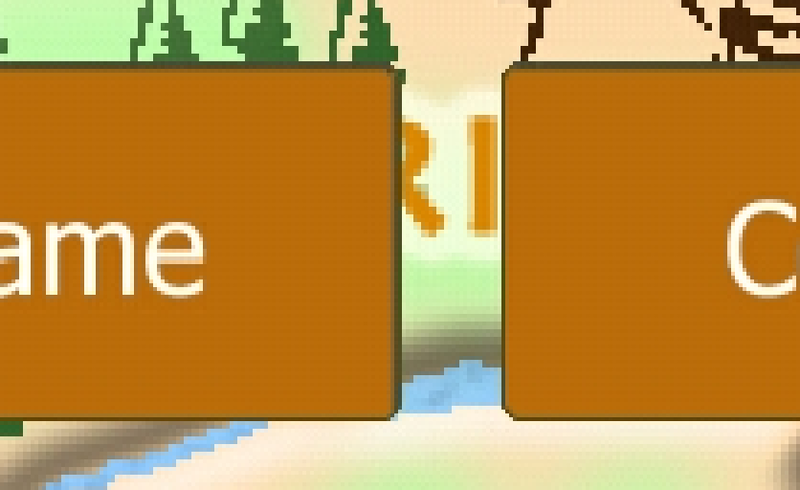 Also, I'm sure when I add a few more options for camping & saving outdoors, and even for teleporting back to town, leveling will feel more right. However, having said that, when one designs a RPG, there's a big monster you have to watch, called inflation. I don't want weapons that do 100K points of damage and enemies with millions of HPs, in a game where 90% of the content suddenly becomes irrelevant, as numbers grow bigger and bigger, both your numbers and enemy numbers. When you reach that point, you probably have done a design mistake. And in a way, it's unavoidable, but it must be watched and minimized. I've designed (on paper! )a progression that may be slower than what is usual in the genre, true. But in exchange, I'll add more stuff to do, like trainig crafting skills and learning recipes, gathering herbs, raising factions, unlocking new companions, exploring... so in the end, this will be a 50-100 hour game which will run through 20-25 levels, and yeah, the last ones may come slowly, but I am confident I can make it work in a way that will be fun for players. I am ready, however, to be proven wrong by testers, and in that case, I'll adjust, of course. 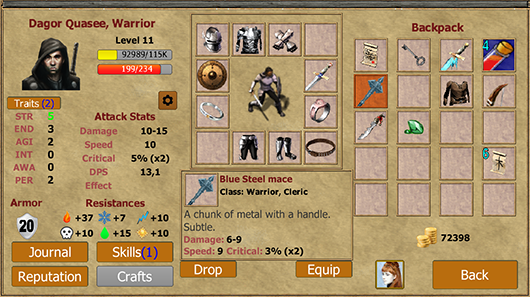 I may add more levels, and make skills more expensive, for instance. But I'll make those decisions later on, when there's content up to level 10, at least. I have had my first go at this, I haven't had time to play lots of it but what I've seen so far I really enjoyed. 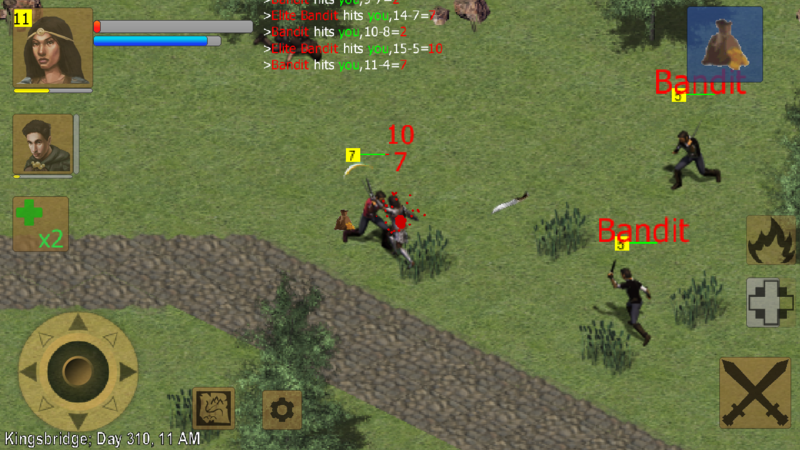 The combat system works well, albeit it sometimes get a bit hectic. One thing I don't like is the auto-targeting of the enemy that most recently joined the battle, I want to finish of the weakest one first (maybe there's a setting for that). The world seems large and I had fun exploring it, it is a bit weird though that you get that black area when you go to the "edge" of it before a new area is loaded. Textures were a little blurry, as if they had been scaled up too much (I played on a 10" Samsung Galaxy Tab). When I was in a dungeon, it was sometimes difficult to get the guy to enter narrow corridors, something with collision detection not matching what I thought was the boundaries I guess. The thing that bugged me the most was the UI, the fonts had a lot of artifacts (button text too anti-aliased, other text too pixely) and I don't think that, overall, the UI components fit well with the rest of the game. I did't get any crashes but I once the game just froze and the entire screen flickered, this happened during load after selecting "Continue Game" in the main menu. Now don't get me wrong, I know it might sound like I am thinking your game was crap and it really isn't! This is a good game, and it already feels very complete with large maps, plenty of narrative, quests and items. I had fun playing it and will definitely come back for more (and I will continue to log what I find here). Very well done, keep up the good work! Apart from that: Adaon is still non-functional for me. 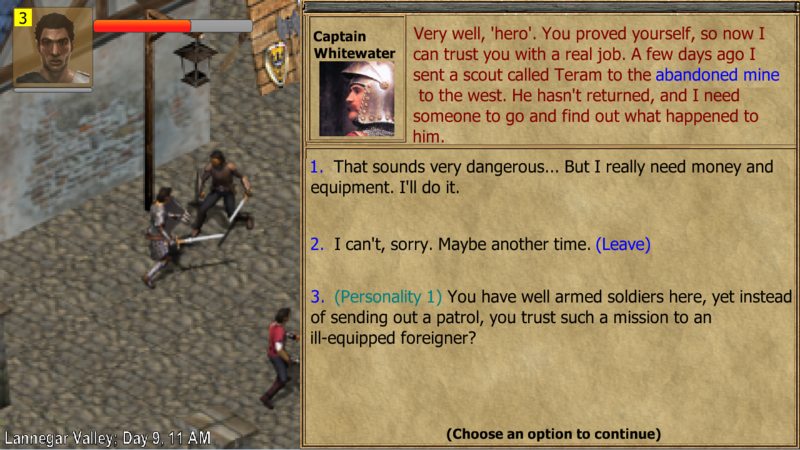 I kicked him from the party, added him again and he worked fine until I visited an inn. After that, he remained in stasis. Hehe, it's okay, I actually value more the remarks on things that don't work, those are the things that help me improve the game. Thanks for your review. 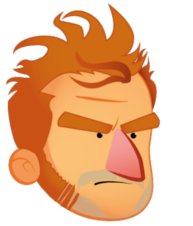 Regarding auto-targeting: in theory it is (mostly)fixed from version 0.4.715. Have you played an older version? You can see it on the main menu. Previously, you always attacked the closest enemy. 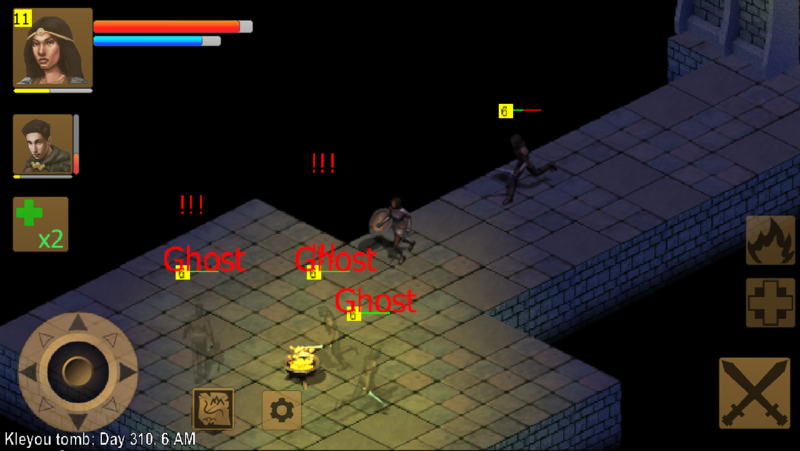 It would happen often that an incoming enemy would move closer, so you turned to attack; I changed it so, if there's an enemy in front of you, you'll not auto target another one. BUT I believe my code is not working perfectly in all directions yet, looks like I have to paint some debug polygons to fine-tune it. PRobably I can adjust the collisions better too, as you report. As for UI elements and text, yeah, I don't have a 10 inch tablet but I've been told text looks weird. I'll see what I can do. Regarding UI, I'm aware I'm a terrible graphic designer, maybe if the project works I'll seek some help with art. I'll grab you a screenshot tonight and send you, it might help you to figure out what you need to change. But did you sleep at an inn BEFORE having him join? in any case, I'm going to add extra checks in the next build, to make sure companions are spawned with the right AI. Sorry for the inconvenience. Don't worry about it, I'll just make sure it gets fixed. The version number is also subject to this effect. Again, it's not a massive issue but I think it takes away from the polished feel of the game. And in other news; I am running into an issue where the screen just flickers and won't accept input at all. It happens every time I try to continue my saved game (so I had to start again) and I've seen it a few times when trying to leave the inventory screen. It doesn't crash so I haven't been able to send you a stack-trace. I don't know what's causing it but I am going to try the game on a newer device with a smaller screen to see if I can reproduce it there. Thanks for the report. The aliaising problem, probably will have to wait. I tried to record a video of the flicker, but now it's stopped happening. I can even load the first save-game again. I'll see if I can figure out what caused it. Might have been a memory issue as you say, as closing a few other applications and freeing up memory might have fixed it. Seriously though; I am impressed by the fact that you finished it. Even I haven't finished it. There's a reason I named it "Impossible"
Actually, I used my superpowers to fix it. It always happens, bugs fear me! I have a big memory optimization pending related to sprites, which I have to work on before the Beta release in June. So, to certain extent, I am not too worried if it's just memory. And indeed, that "Impossible" level was hard. You have to bounce around in a controlled manner, just hovering around doesn't give you enough time to get under the red key. I'll skip trying it on a newer device for now, and instead I'll see if I can figure out what it takes to reproduce the weird flicker bug. I am running it on a fairly old tablet, so it might not hit a large part of your possible install-base anyway.